Best tool for trimming foam? Anna Happy New Year 2018! I tried to write a post containing highlights of 2017...but many events of last winter and spring are simply too raw for me to even skim past. So, instead, here are my goals for 2018 --- both simpler and more difficult than they at first appear. First and foremost, I plan to continue bringing my life more into balance. Left to my own devices, I work until I drop. But my body isn't as young as it used to be, and both physical and mental resiliency require more work than they used to take. The prescription? 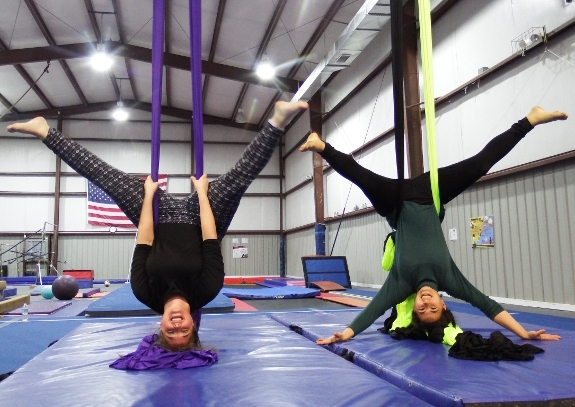 Incorporate more fun into my life! I'm carefully backing off on production goals in most most areas of my life by approximately 10%, penciling in holidays weeks and months in advance. So far, this method of making me take time off has actually worked. 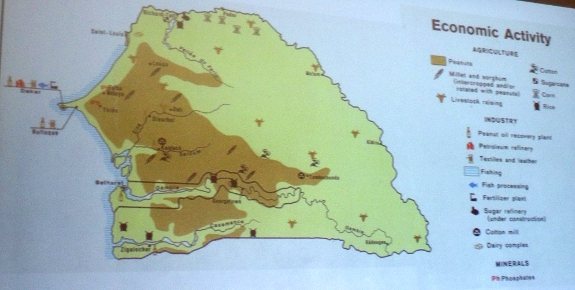 Next step --- continue to plan rejuvenating activities to fill in those gaps. One of the biggest goals of our move was finding our "tribe" --- likeminded people with whom we have lots in common. To that end, we're working as quickly as my introversion allows to meet our neighbors, attend interesting events in town, and insinuate ourselves into organizations that will help us build a more resilient community. As is usual for me, doing something hard becomes more realistic when I set a quota --- two socializing events per week. Three months in, I already know more people in the community than I did after ten years in Virginia without this goal (although the in-depth relationships will take quite a bit more time to build). 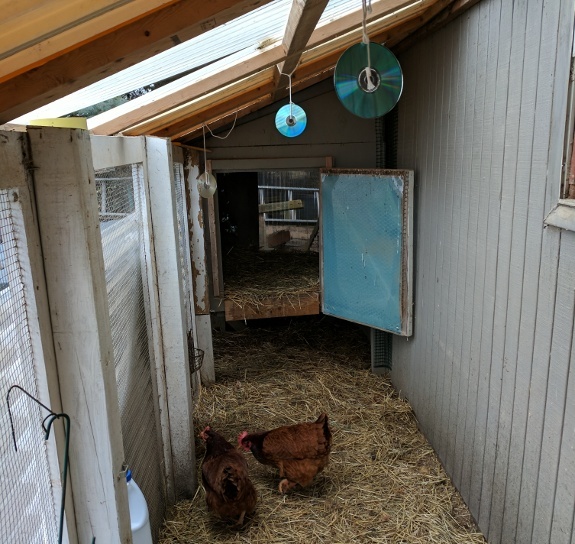 In terms of our homestead (the point of this blog --- I know! ), my goal is to get zones 0 and 1 in order in 2018. That will likely include skirting, installing our wood stove, replacing windows, installing rainwater catchment, and building garden beds along our most frequently used paths. Happy New Year! I hope your dreams are both realistic and bright! May your skills grow with the enroaching darkness and may the most important elements of your life fill you with joy. The roads were clear enough to get our New Year's Day delivery from Lowes. 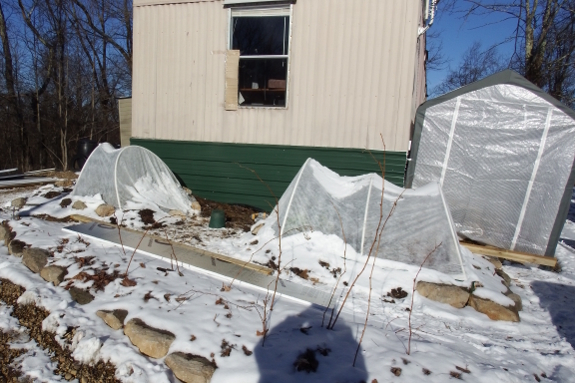 In the midst of this crazy cold spell (which the locals tell me is unusual at least in its duration if not in its intensity), I'm glad I took an hour during December's pretty weather to mulch down what plants I currently have in the ground. 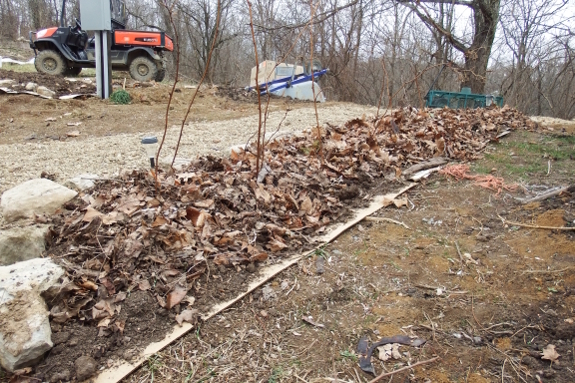 Raking leaves out of the woods took more effort than expected since the organic matter had already started rotting down into heavy leaf mold, but that same heaviness will likely hold them in place in the windier conditions up here on the ridge. Will snow cover plus leaf mold protect roots that only had two weeks to get established before being whacked in the face with negative 4? I won't know until spring, but I can sure hope so! 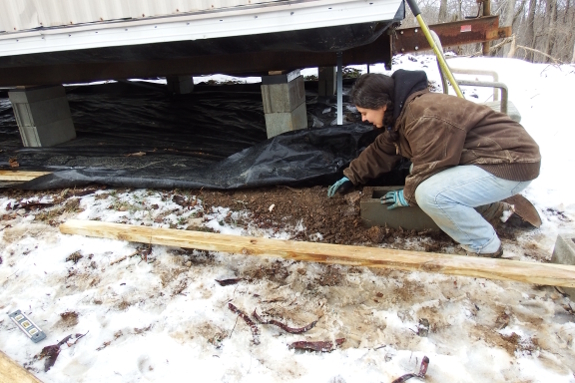 Step one in our under pinning project was to chip away the frozen ground. We waited until the sun was high in the sky and the maximum daily temperatures were tipping up into the mid teens before starting to work on our skirting, but Mark and I still only managed about two hours outdoors before our senses dulled. Still, those two hours gave us time to frame up one (short) end of the trailer. 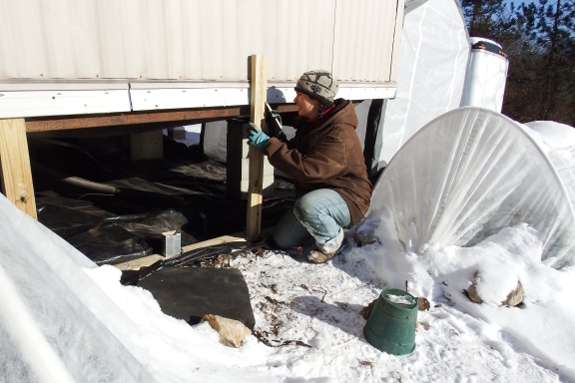 We used treated 2X4s on top of the black plastic that underlays the entire trailer, then added uprights every four feet for attaching insulation and tin. Next up --- cutting the metal to deal with the slant of the ground and figuring out attachment. Details to come in tomorrow's post! Anna asked me to set up her foldable laptop desk stand but the only set up needed is adjusting it to the desired height which is super easy by pushing on the release buttons and clicking it into whatever angle you need. It also comes with two hefty cooling fans to help keeps things cool. There's a big difference between a still, sunny 16 and a breezy, cloudy 14. Since the weather soon morphed from the former to the latter, the photo above shows the entirety of the skirting we got done this week. In this second photo, you can see the back of the skirted side. 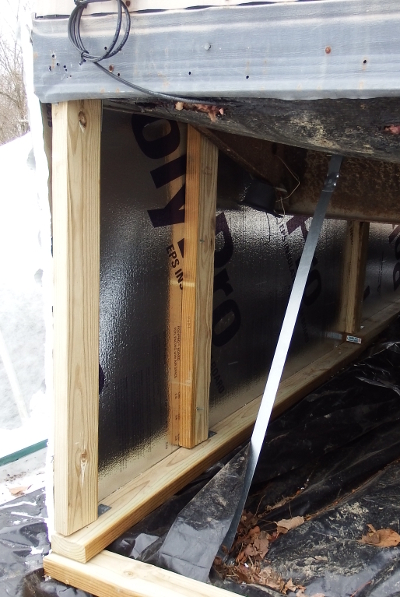 We ended up sandwiching the foam insulation between metal and studs rather than attaching the insulation to the back of the boards (as recommended to get optimal R value). The trouble with the second option is the complication of fully sealing in the air space given the I beams and other complications of the frame. We can always come in and add styrofoam on the backside of the boards for extra insulation at a later date if we so desire. But, for now, I figure we did pretty good given the extreme cold. Coming up next week --- doors and vents. Stay tuned! 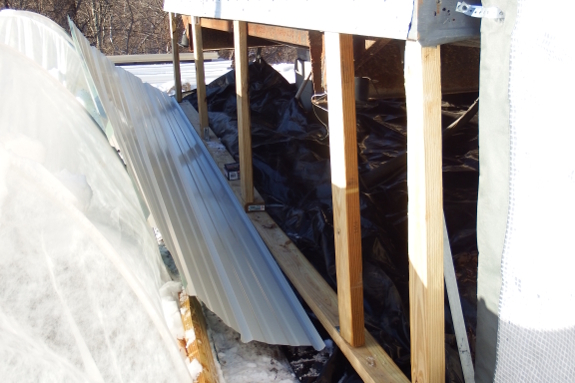 The greenhouse needed to be moved to make room for the under pinning project. We made a deal with someone who wants to buy our Kubota quite a while ago...then the deep freeze hit and the diesel engine refused to start. It's tough to sell a "no, really, it's running perfectly" vehicle when the engine won't turn over, so the sale was put on hold until the thaw. Enter our neighbor, who showed up in our lives a couple of weeks ago during a snow storm. I was out walking and enjoying the scenery; he was out scraping people's driveways with the blade on the front of his ATV. "Want me to scrape your driveway?" he asked. "How much do you charge?" I replied. 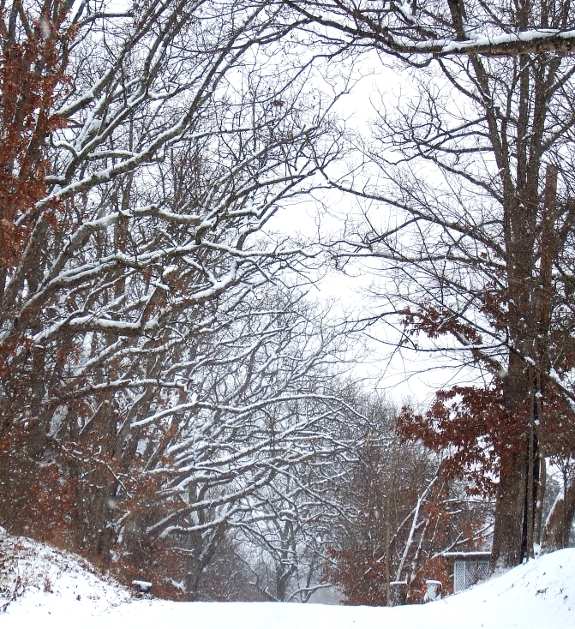 The neighbor looked at me like I was nuts --- clearly, the joy of scraping snow was payment enough. 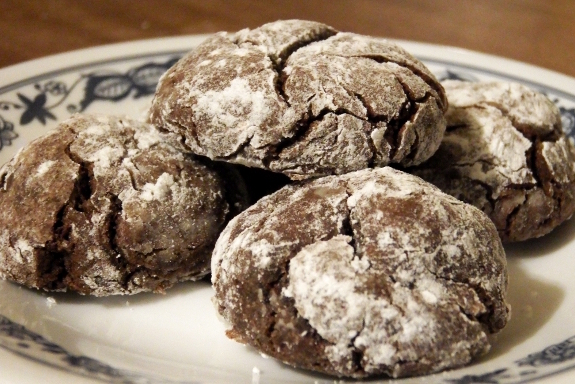 Nonetheless, I pulled out some excess Christmas cookies I'd stashed in the freezer and paid him in sugar and chocolate. Soon thereafter, Mark and I received an invitation to come over for a New Year's eve party. One thing led to another...and soon the guys had cooked up a scheme to drag the Kubota over to their heated garage to thaw. 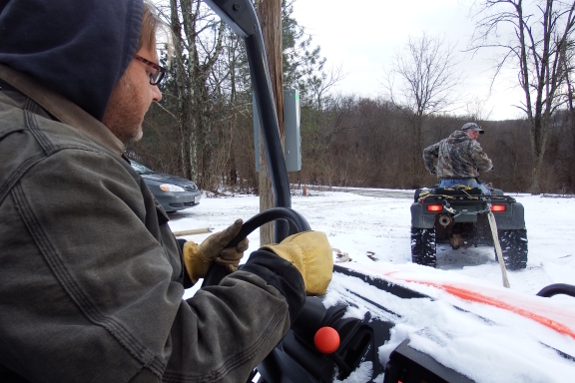 Our neighbor arrived with the same snow blade on the front of his ATV. 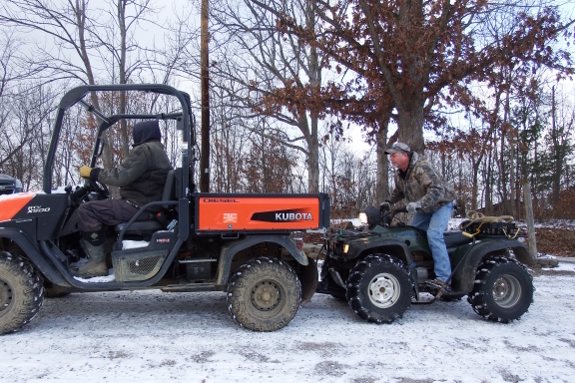 First he pulled, then he pushed, and soon the Kubota was in the heated splendor she rightfully deserved. Impatient to get her fired up as quickly as possible so he could take a joyride, our neighbor pulled out the air filter to increase the amount of hot air flowing through the system, raised the bed for the same reason, then took a hair drier to the fuel lines. In less than an hour she roared to life. Unfortunately, that means Mark will have to part with his baby sooner rather than later. On the plus side, we met some awesome neighbors as part of the deal. I find it hard to believe that every neighbor we've met thus far has been interesting and welcoming, but so far that has indeed been the case. The Kubota X900 found a new home yesterday. I was a little sad to see her go but her new owner promised to treat her good. There's nothing quite like a round of adversity to make you appreciate how good you have it. With temperatures rising above freezing for the first time in over a week, diving back into the skirting project became a breeze. Without even pushing ourselves, Mark and I managed to frame up one long side of the trailer in two afternoons. 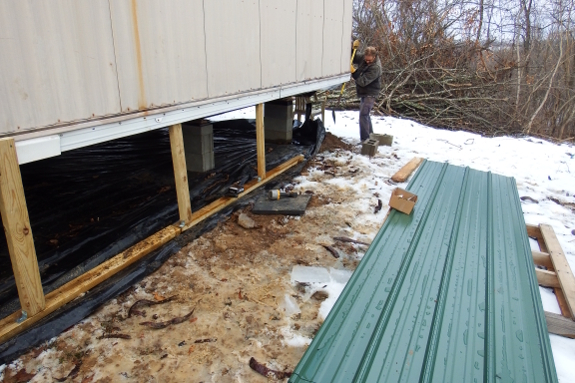 The hardest part about the framing endeavor is the fact that the ground isn't entirely even along the trailer's length. 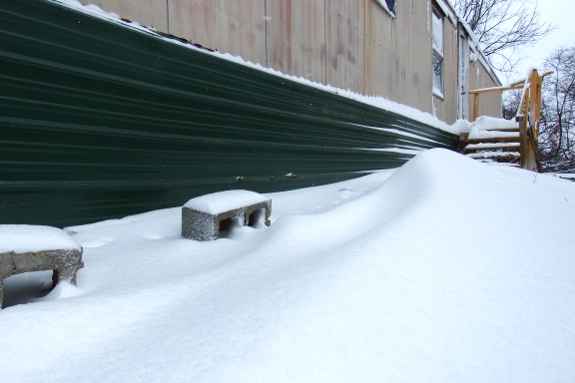 Mostly, we dug out to make smooth transitions, but at the end Mark built up using a cinderblock instead. We're taking a bit of time off to celebrate Mark's birthday today (happy seven squared! 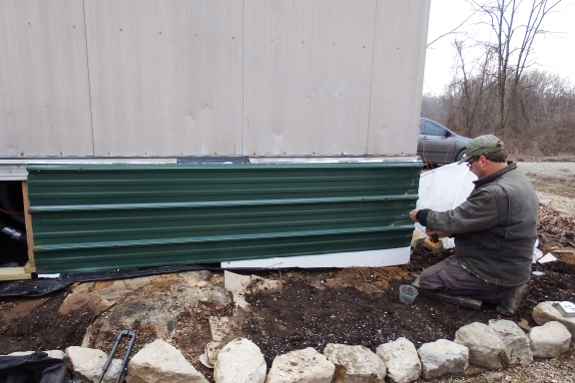 ), but hope to put up the metal on that side by the end of the week...just in time for another cold spell to hit. Maybe blocking the wind will at least count for something as winter weather returns! We attached our under pinning vertical supports with these small triple zinc framing angle brackets I found at Lowe's for 58 cents per bracket. 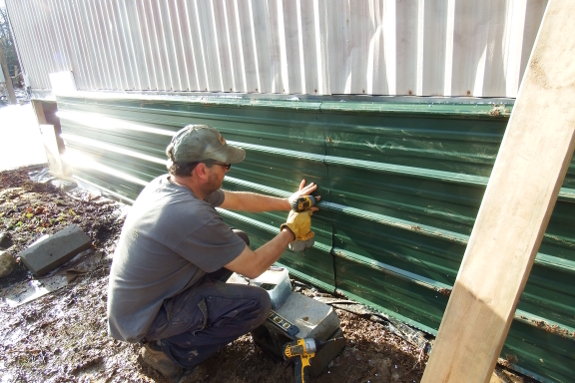 Mark discovered that the easiest way to get the skirting metal and insulation to come out even is to measure and cut the former on the ground then to run a knife along the upper edge of the metal to trim the styrofoam. Next up is doors --- the spot for one of which you can see at the far left of the photo above. 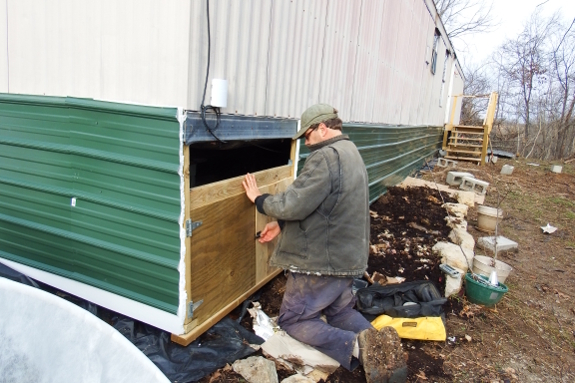 Rather than inserting premade vents into the metal skirting for summer ventilation, we'll be framing up wooden doors with closable vents so we can easily get into the various parts of the trailer's underbelly as well as ensuring accumulated moisture doesn't rot our subfloor. Plan on one square foot of vent per 150 square feet of trailer (6.5 square feet for a 14x70 singlewide). Make sure there's a vent within three feet of each corner. Close vents in the winter to keep your pipes warm! 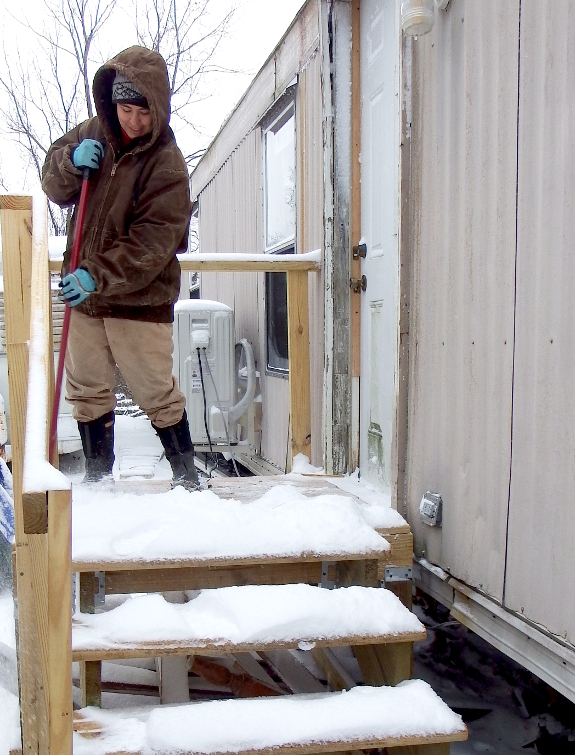 We left our snow shovel in Virginia, so Anna tackled our Level 3 Snow Emergency with a broom. We used the Malco Heavy Duty Turboshear to cut our metal to size. It uses the power of any drill to cut up to 18 gauge galvanized steel. I figured out the hard way that it does not cut when it's upside down. When it looks like this after lunch, we sometimes decide one hour out in the cold is enough. If you're similarly inclined and need some winter fluff to fill your snow days, perhaps you'd enjoy snagging my novel Verdant Magic while it's on sale? This is my most homesteader-friendly work of fiction --- there are witches and dragon shifters, but also gardens and goats. Enjoy! mark Best tool for trimming foam? 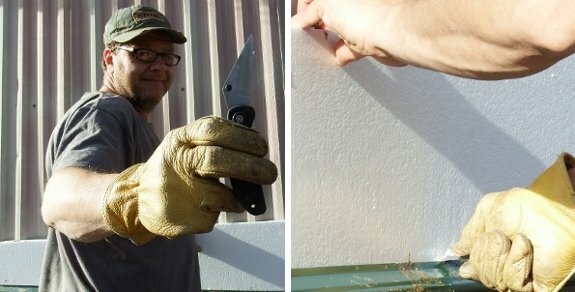 After some trial and error we discovered the best way to trim the excess foam away on our trailer skirting project was a simple serrated pocket knife. Dealing with the small foam crumbs is a problem when trying to clean up. One of the best things about living so close to a university is the free events we can access by simply feeding a parking meter. 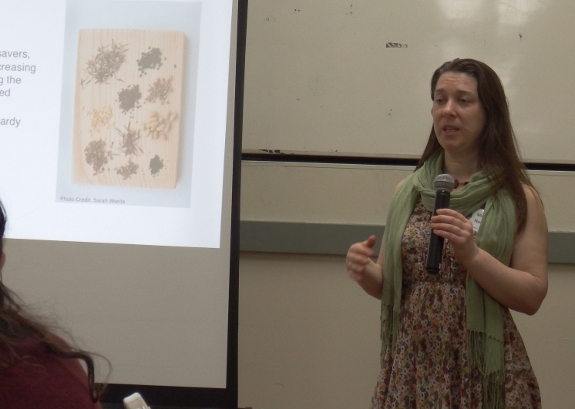 Professor Theresa Moran expanded our horizons with the movie Bugs --- all about edible insects --- last fall. 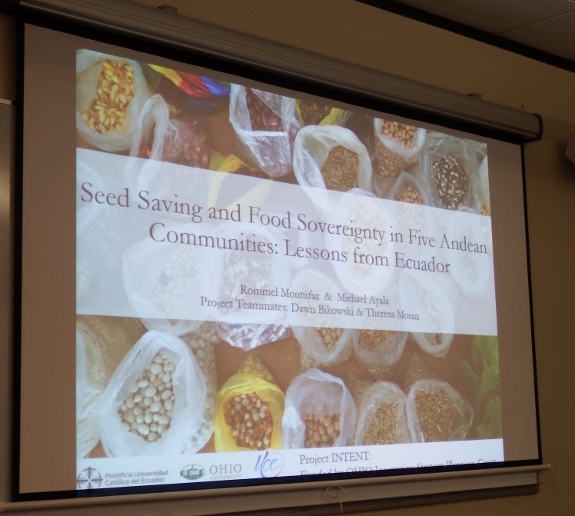 And she started 2018 off with a bang by bringing in a duo of Ecuadorian researchers to regale us with information about seed-saving in the equatorial mountains. 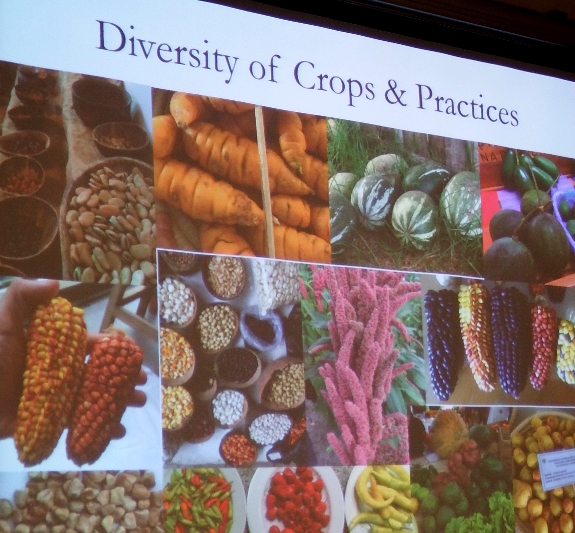 Rommel Montúfar and Michael Ayala created a vivid image of small to mid-sized mountain communities in which conventional crops are pushing many traditional varieties out. Farmers (most of whom were in their sixties, subsisted primarily on farming, and tended 2.5 acres of ground or less) reported that their grandparents grew, on average, 83 types of crops in their gardens. The current generation, in contrast, grows about seven. Why the change in focus? Farmers reported that locally saved seeds produced plants that were tastier, hardier...but less pretty, less productive, and less easy to sell to a national or international market. It's hard to stick to the old ways when new ways bring in immediate cash. Which isn't to say the outlook was all doom and gloom. There is still a strong culture of seed saving and sharing in Ecuador, the latter of which includes both swapping and simply giving seeds away. For example, an Ecuadorian farmer never goes to visit a neighbor empty-handed. Instead, she brings a basket full of the very best she has (often including seeds)...then is sent home with that same basket full of the very best her neighbors have to offer. There are also a few traditional crops that are gaining national and international importance, thus giving farmers a reason to plant them on a larger scale. You've most likely heard of quinoa (even though this seed was nearly unknown outside its traditional stronghold a few decades ago), blue agave is gaining wide appeal when fermented into tequila, and rocoto peppers are apparently the hot (pun intended) new pepper of choice. My favorite part of the talk, though, was none of this. Instead, I feasted my eyes on images of fruits and vegetables I've never seen before. What a treat to enjoy an Ecuadorian breeze on a frigid Ohio day! One step in selling the Kubota X900 was matching up the Vehicle Identification Number (VIN) to the number on the certificate of ownership. Put the dump bed in dump position and the sticker is just above the battery compartment. 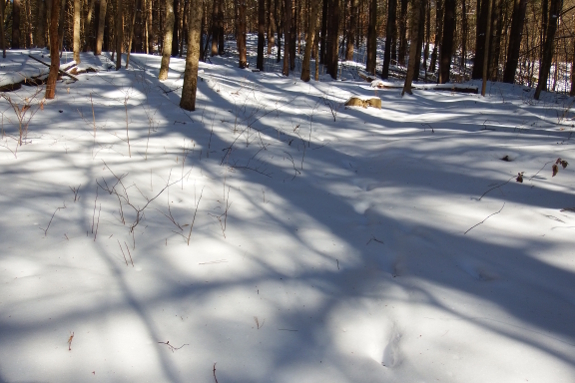 Layer upon layer of snow fell last week, then we dipped into another deep freeze. Rather than turn our fingers to icicles, Mark and I spent most of the week inside, him unpacking and me catching up on items that had been hanging around at the bottom of my to-do list for many, many moons. 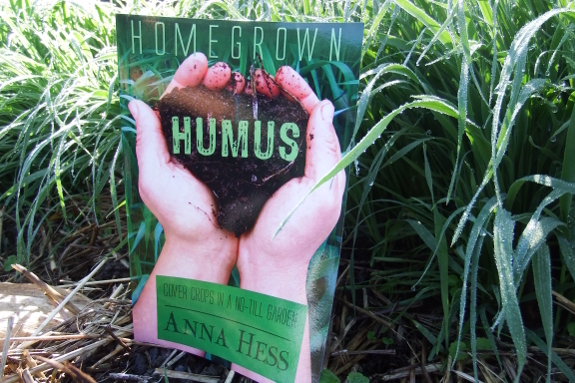 Homegrown Humus is one of my favorite ebooks, full of tips on growing soil fertility for the price of a handful of seeds. You can read the reviews on Amazon...or just give it a try using the buttom above. Don't dilly dally, though. I plan to raise the price at the end of the week. Enjoy! 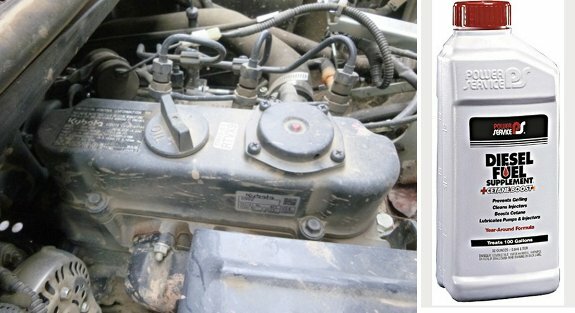 Once we got the frozen Kubota X900 warmed up and started I added a diesel fuel supplement product to help prevent another fuel line freeze up. It got below freezing for a couple nights but still started without using a hair dryer to thaw the fuel line. 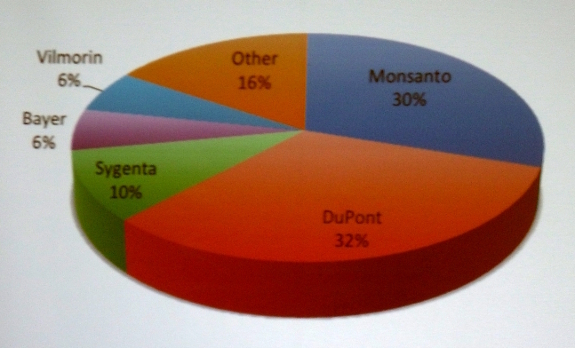 Nowadays, the politics of seeds mostly has to do with GMO and patented varieties. 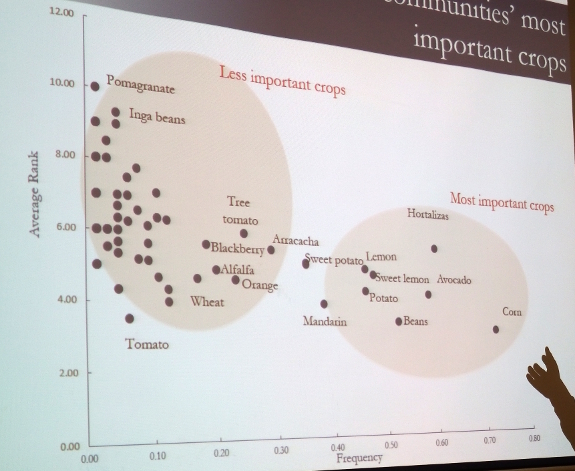 But the modern pendulum swing is just the latest in a long line of American haggling over propagules, as Mary Nally explained in the Community Food Initiative's Seed to Sustainability Workshop this past weekend. 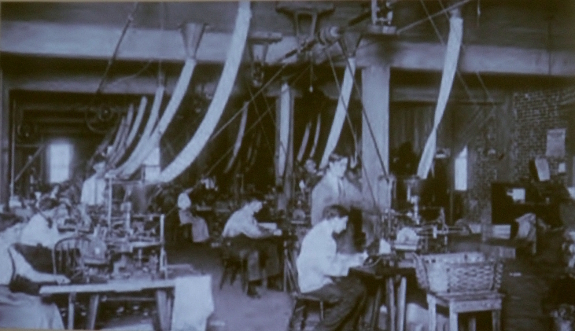 In fact, in the mid 1800s, the US Patent Office devoted 30% of their budget to giving away free seeds. Over a million packets were distributed to American gardeners before the nation's budding seed companies stepped in. "How are we supposed to make a buck if the government is undercutting us at every turn?" seed companies complained. 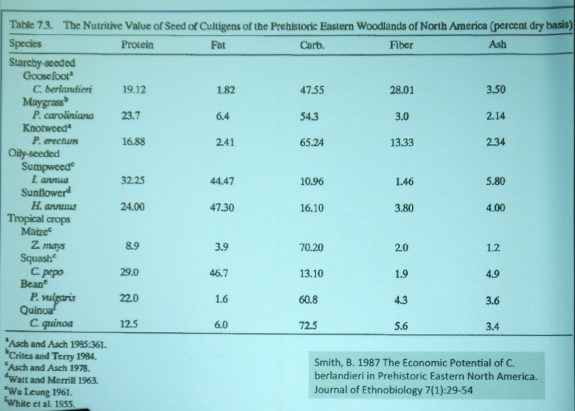 By the end of the century, free seeds were (mostly) a thing of the past. 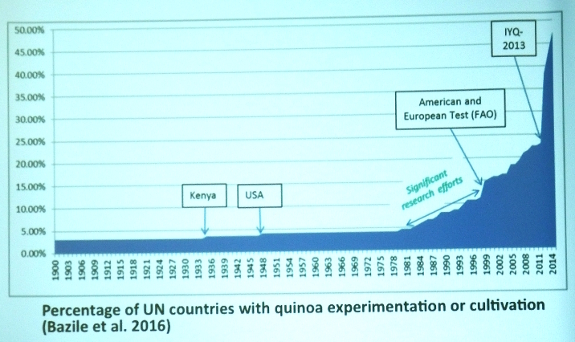 Fast forward ahead to the early twenty-first century, when three companies controlled 72% of world seed sales. Various types of patents now prevent you from selling patented varieties or (in the case of utility patents based on patented DNA) even saving seeds for your own use. 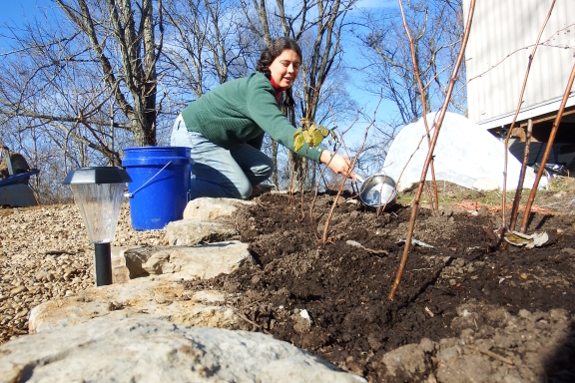 In fact, the Community Food Initiatives staff were surprised to learn that seed swapping --- that staple of backyard gardeners in which no money changes hands --- is technically against Ohio law in many instances. So what's a gardener to do? Mary Nally's advice is to work on changing that law. The Recomended Uniform State Seed Law (RUSSL for short) is a third-party ethical model that allows seed swaps, seed libraries, and seed banks while still protecting the economic system that makes the production of new varieties viable. Several states have already replaced outdated legislation with RUSSL-based standards. Perhaps Ohio will be next? 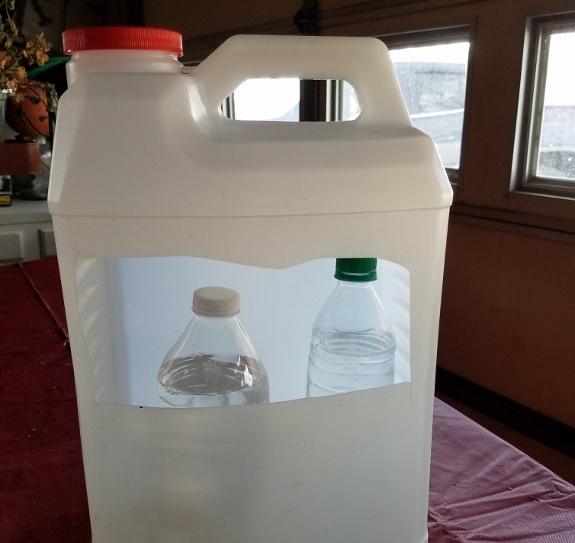 A low tech way of keeping water from freezing for livestock is to boil a lot of salt into water bottles and place those bottles at the bottom of a container. Pour water over top of the bottles keeping them submerged. My Mom tried this recently and reports it works at very low temperatures. 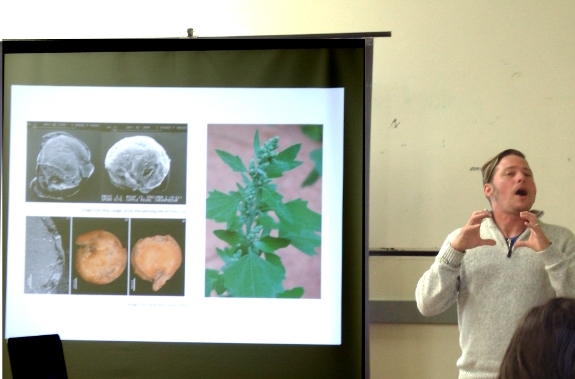 While Mary Nally's talk was a wake-up call about what the law tells us we can and can't do regarding seeds, Ohio University professor Art Trese's contribution to last weekend's workshop involved what he calls "hacking hybrids" --- tweaking store-bought seeds to create even better varieties for your own personal use or even to sell. Having fallen in love with a few hybrid varieties that stopped being available over the years, I can definitely see the appeal of hacking those hybrids. But before you get too excited, here are some hybrids you shouldn't bother trying to hack: onions, beets, carrots, radishes, turnips, and in some cases broccoli, cauliflower, and cabbage. Why steer cleer of those vegetables? Hybrids of the species listed above are created by choosing mother plants that are naturally unable to create viable pollen, and that trait is passed down through the mother's line mitochondrially. In case you slept through biology class, the upshot is --- for the types of vegetables listed in the previous paragraph, even raising plants all the way to maturity won't result in any seeds. 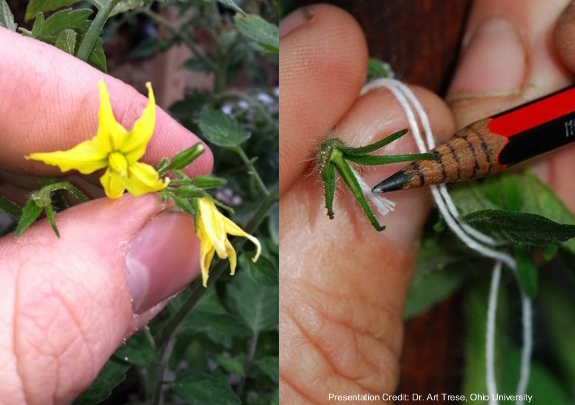 You're likely to have better luck with your hybrid-hacking efforts if you stick to tomatoes, peppers, and cucurbits, though, since hybrids of these species are still made in the old-fashioned way (shown above). Of course, the offspring of a hybrid will be a mish-mash of variability. But you can breed together the plants with traits you like the most and keep doing that for seven generations. At that point, you've generally come up with an open-pollinated variety that will breed true from those saved seeds. And can you sell that new variety on the open market? You sure can! While it's not kosher to sell a hybrid's offspring, after the second generation you officially have something new and legally salable. So feel free to de-hybridize lunchbox peppers and put their seven-times-great-grandchildren on the open market. I know I'd buy a set! 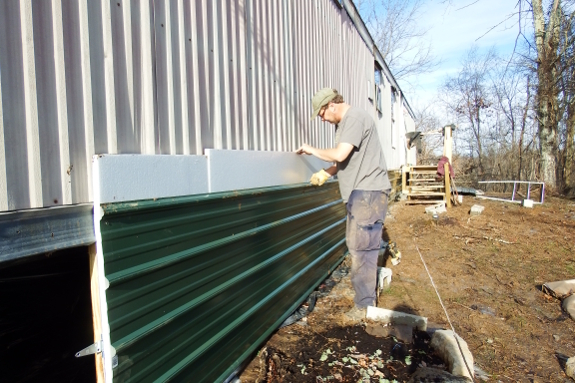 Our trailer skirting metal comes in 12 foot sections and some needed to be cut to make room for access doors. Have you ever tried growing quinoa? I have. My first experiment was so abysmally unsuccessful that I never took another stab at it. Apparently, I'm not the only one. Despite a worldwide interest in the high-protein grain over the last decade, the vast majority of the crop is still grown in the Andes. Quinoa is simply a finicky species that can't handle high humidity, high temperatures, or even very mild frosts. So that box of seeds you see in the grocery store has an 80% chance of having traveled all the way from South America. Enter Paul Patton, professor of arhaeobotany at Ohio University. Dr. Patton got interested in one of the so-called Lost Crops that Native Americans grew in our area before corn traveled from Mexico and took over local diets. It turns out that Chenopodium berlandieri is in the same genus as quinoa and would likely be easy to grow in our region...if any cultivated seeds still existed. Appalachian quinoa (as I've decided to dub Chenopodium berlandieri), is even more nutritious than its South American counterpart. And the species can still be found as a weed throughout our area...although the plants along riverbanks and in farmer's fields have reverted back to their thick-hulled, small-seeded wild type. Luckily, Dr. Patton isn't daunted. He's started a breeding program using the local wild type plus a bit of cross-breeding with a Mesoamerican variety in the search for a more edible variety suitable to cultivation. So far, he's three generations in and is seeing some success. So maybe within a decade Appalachian quinoa will once again grace Ohio fields? We considered deleting our trailer towing tongue but chose to work around it compared to cutting through the thick steel. 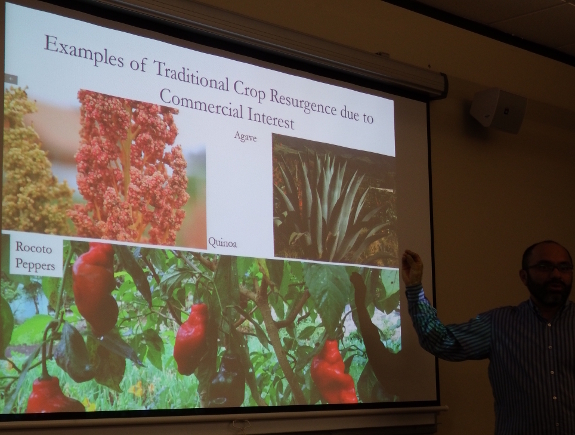 In a complete turnaround from the high-tech nature of the subjects I've been posting about recently, Mark and I recently attended a talk about traditional farming in the subtropical region of southern Senegal (western Africa). Charlene Hopkins spent 28 months there as part of the Peace Corps prior to her current graduate studies at Ohio University, and she regaled us with information about everything from hippo puke to hand watering. Charlene started with the big picture. In Senegal, 90% of employed people work in agricultural jobs...although most people are instead unemployed subsistence farmers. She lived among the latter, gardening in villages so poor even creating latrines was a major expense. There, farmers work hard from June until October growing and harvesting both row crops (primarily cotton, corn, sorghum, rice, and peanuts) and vegetables (like okra, tomatoes, and peppers). But most of the food they grow is sold to buy the imported rice that keeps villagers alive during the dry season, so well-rounded nutrition is difficult to achieve. Although I doubt most of us will choose to follow in the Senegalese's laborious footsteps, there are lessons to be gleaned from subsistence cultures. 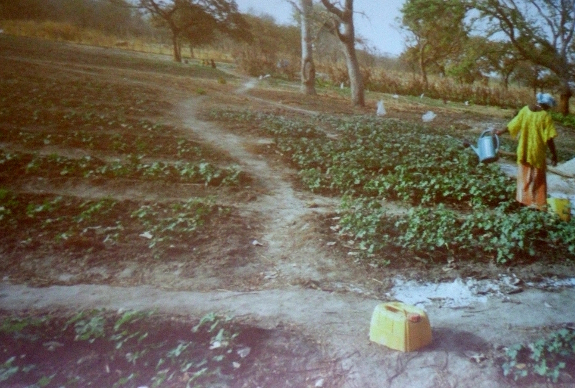 Livestock in Senegal are free ranged and vegetable gardens are fenced to cut down on the use of supplies. Beds are bite-sized --- typically 2 feet by 8 feet --- to expedite hand weeding and watering. 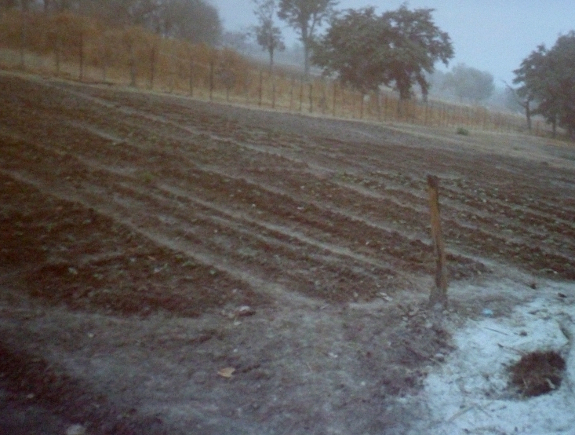 And gardens are small too, reaching up to an acre in size for row crops but staying much smaller for vegetable gardens. 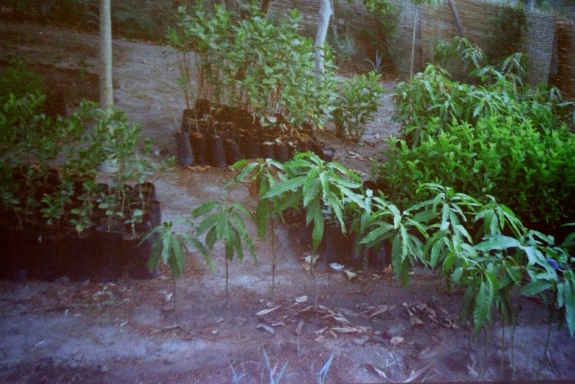 In addition to fencing, the Peace Corps is helping villagers add more trees to their edible landscapes. But it sounds like the locals already depended on trees to some extent. 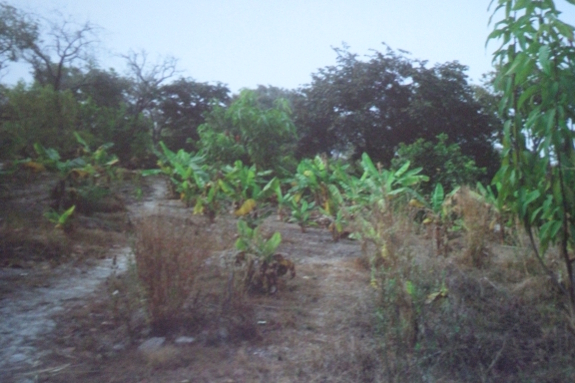 Mangos have long been favorites since the large trees provide shade during scorching afternoons while also bearing fruit for home use and to sell. Meanwhile, the process of pepineering --- starting seeds in soil-filled bags in nurseries --- is helping increase diversity into cashews, bananas, avocadoes, pineapples, and some native fruits you've likely never heard of. Despite the beauty of the slides, though, I have to admit my biggest takeaway was gratitude. Sometimes I take our society's bounty for granted, but I can honestly say I've never had to choose between vegetables now and rice later. If you feel similarly and have some cash to spare, you can donate to the Peace Corps online. I'm sure villages like the one Charlene visited will appreciate the support! My Mom had a problem with small birds stealing chicken feed from her flock. The solution was to hang up shiny CD's that scare small birds. Back in the old days folks would use an old pie tin in place of CD's. The last piece of skirting metal went up far faster than the first did. On a few pieces --- like this one --- we chose to cut the metal in a straight line along the bottom rather than dealing with irregularites of the ground since cutting across the metal ridges is very tricky. We'll backfill dirt up against any gaps later to finish creating my planting beds, which will make current irregularities disappear. Next up is doors. We left gaps for four of them and Mark's got the first one all framed up. The top in this image will be a vent which is still bubbling to life within his imagination, so stay tuned to see how it turns out!